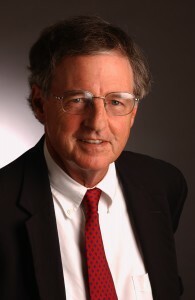 HENRY M. COXE, III served as President of The Florida Bar and President of The Jacksonville Bar Association.A Board Certified Criminal Trial Lawyer since 1988, he has been the recipient of The Florida Bar President’s Pro Bono Service Award, named the Jacksonville Financial/Daily News Lawyer of the Year, recipient of The Florida Bar President’s Award of Merit, the American Board of Trial Advocates (ABOTA) President’s Award, and Jacksonville Area Legal Aid’s Justice for All Award. He is a Fellow of the American College of Trial Lawyers and has served as a Delegate to the American Bar Association. He was also on the Board of Directors of Jacksonville Area Legal Aid, and chaired the Disciplinary Grievance Committee of the U.S. District Court, Jacksonville Division, and The Florida Bar. Mr. Coxe’s practice focuses on criminal defense in both state and federal courts. He currently serves on the Florida Judicial Qualifications Commission and the Florida Supreme Court Innocence Commission. Mr. Coxe has served on the Judicial Nominating Commissions of the Fourth Circuit and First District Court of Appeal. He is a Master of the Chester Bedell Inn of Court and for many years was a faculty member of the National Institute of Trial Advocacy. Mr. Coxe was twice identified as one of the top 10 Florida lawyers in Florida Super Lawyers Magazine, and a member of the Florida Legal Elite “Hall of Fame” by Florida Trend Magazine. He was the recipient of the 2010 Steven M. Goldstein Criminal Justice Award presented by the Florida Association of Criminal Defense Lawyers.